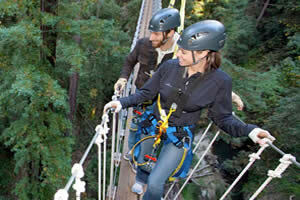 Enjoy the coastal redwood forest from the unique perspective only a zip line can offer! This exclusive package includes discounted overnight room accommodations as well as discounted canopy tour tickets (per person, per room). Please contact us at 831-423-5000 to book this Santa Cruz Vacation Package.